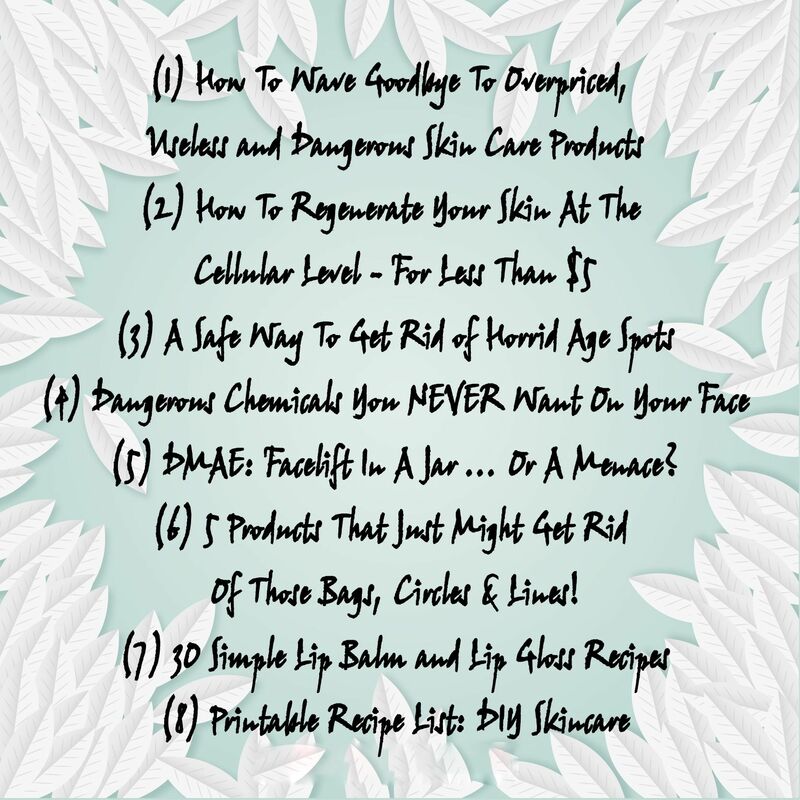 This is our entire product on natural skincare that teaches you how to make your own skin care products that are 100% natural, require no refrigeration and help you skin look younger. We include 8 different manuals. Since this is such a huge amount of material, we offer the option of receiving a DVD that contains all the information in a compact package. 5) DMAE: Facelift In A Jar ... Or A Menace? 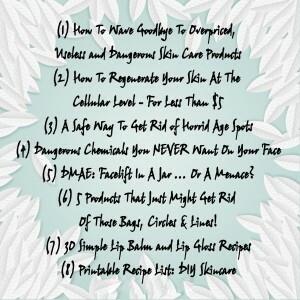 6) 5 Products That Just Might Get Rid Of Those Bags, Circles & Lines! Your DVD containing all the above materials will be mailed within 1 business day. All packages include tracking information and a follow-up email to ensure you know exactly where your DVD is.